Originally designated as acreage for burials, Chessman Park is a haven in the city. 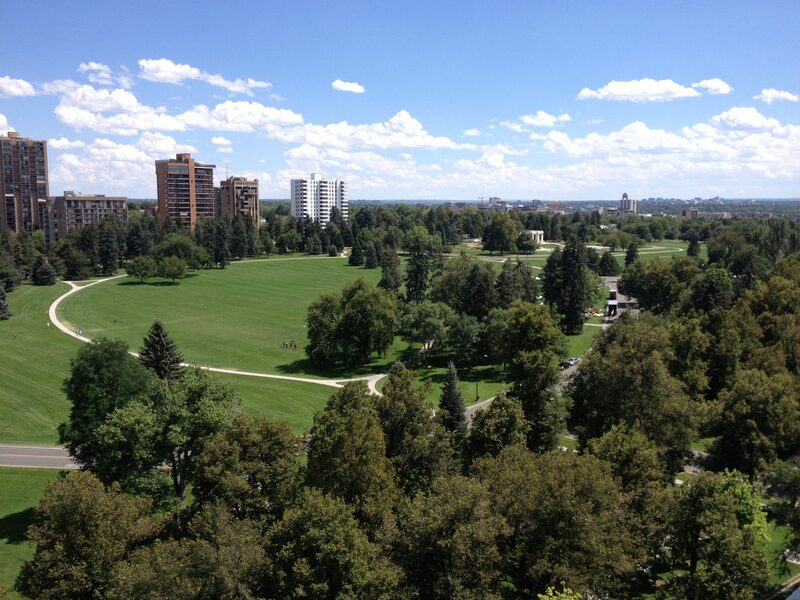 Denver officials petitioned Congress to switch the purpose for the land to park land. By 1894, graves were relocated and burials were suspended. Reinhard Schuetze, drew up formal plans for the park in 1898. 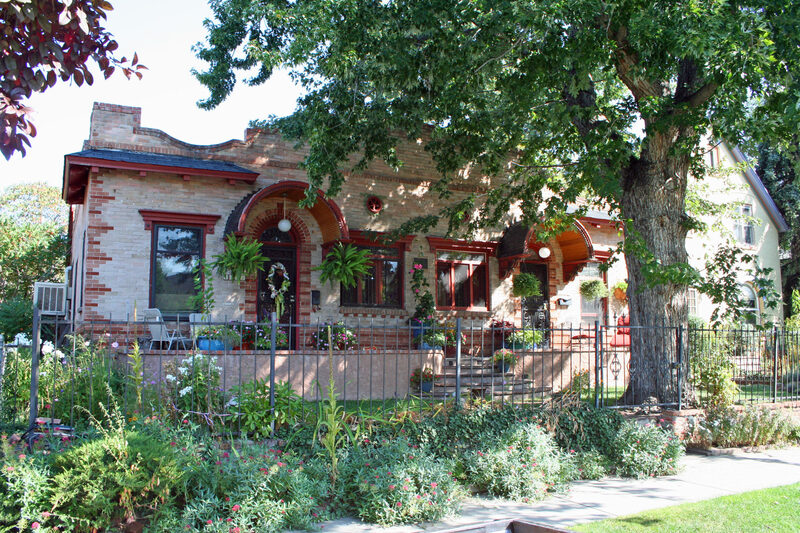 Adjacent cemetery tracts became known as Morgan’s Historic District, Congress Park, Denver Botanic Gardens, and soccer fields. The fields are located above the city reservoirs directly north of Congress Park. Schuetze saw Cheesman is a serene expanse in the midst of the bustling city. It is a peaceful enclave for quiet contemplation, picnic lunches, reading, and admiring the mountain range. 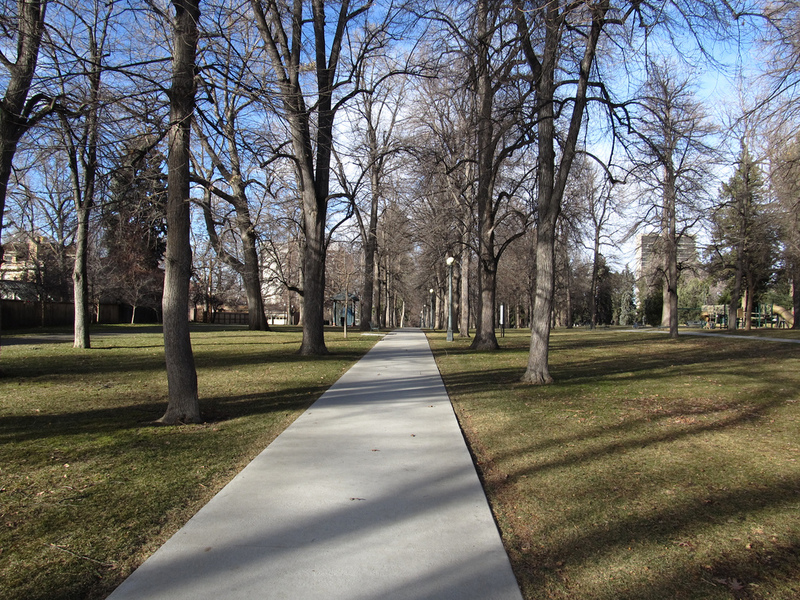 Cheesman Park Esplanade, created in 1912, linked Cheesman to Seventh Avenue Parkway and the Williams Street Parkway leading to the Country Club neighborhood. Helen Bonfils, owner of the Denver Post, hosted seminars and theatrical productions throughout the 30s and 40s. The events drew enthusiasts by the thousands each summer. 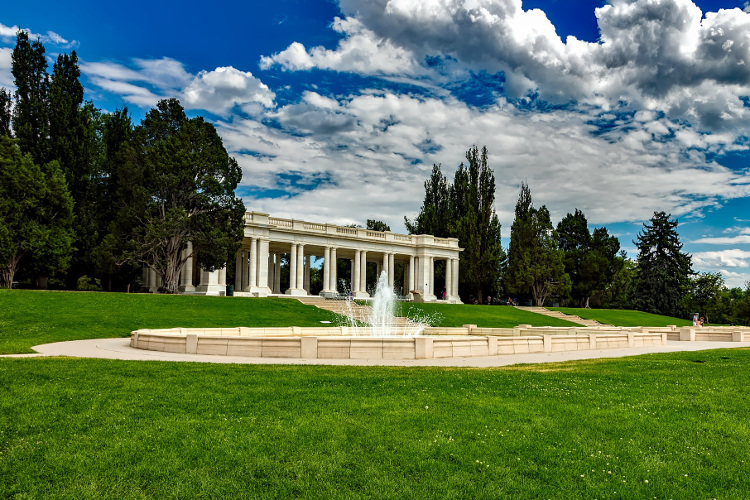 Cheesman Park remains a significant neighborhood gathering spot, attracting legions of joggers, walkers, picnickers, and sunbathers, much as Schuetze may have originally envisioned. On breezy days, the sky above Cheesman springs to life with brightly colored kites, and following winter storms, ski tracks soon crisscross the freshly fallen snow.